As any woman knows you need a good bra and you need the right one for whatever activity you are doing. I was a big girl even when it time to get my first bra so I was denied a training bra and got to wear a real size. I don’t remember what size it was but I remember two things, I was the only girl in grade 5 wearing a bra and it was a pure ,white, cotton (not jersey) Daisy model. I have had many bras since then and have had so many different sizes, styles and types. And as I have been reflecting on my “growing up” I realize that my bras have so much in common with my vision of the support systems around me. Back in the day we didn’t have La Senza or Victoria’s Secret. For me it was the Intimates Department of Sears or Eaton’s. Every woman should be fitted for the correct bra and size. If we know what we need we can find the right support. We, women, have a number of assets and we need to protect and utilize these “assets” in positive ways. Yes, the metaphors have begun. Because bras are at the forefront of our adolescence, what our friends wear or do is very important. Bra peer pressure is amazing. When I was growing up, there were only 3 colours of bras: white, black and beige. The support we got from our friends was pretty straightforward, too. The biggest issue was who was not telling the truth and in keeping with the metaphor, who was stuffing their cups? 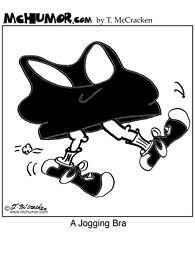 This is not such an issue any more with padded, underwire, multi-coloured bras. We wanted to know if that guy liked us and what should we wear to the dance. Some of us really needed that little bit (me) or whole bunch (other girls) support to feel even a little bit of good about ourselves. Kleenex and socks were some of my friends best support! Later in high school, my life got way more complicated. I was very overweight and self-conscious. Because I’m a Navy Brat, I had moved every two years or so and my parents where going at it tooth and nail. I was always new in school and my support system was my siblings and parents – not what I needed. We lived in a very isolated community and to get good products, clothes and things we had to order from catalogues. Bingo! I found a new support system. I needed new bras and had my own money so no “Cross Your Heart Playtex” for me. I wanted someone to tell me that I was special and would live through high school. I ordered four bras (they came in packs of two, ironic, eh?). I got one each of black, white, beige, and red, half-cup, underwired, push-up bras. And like the friends I made that year, they made me feel spectacular! As life goes by, the types of bras and support we need changes. I needed help in adjusting to university in a new city. I felt insignificant and way too young to be there. Basic comfort was what I needed and got (only one “special bra” during this time) until found a new group of people who have been the biggest part of my support system for the last 38 years. Halter bras, push-up, pullover, front “love clasp”, industrial, sleeping – I had them all during these fun (and disco) years. I have had friends and family be there for me and help through my life. There have been other supports in my life, too, and I am so grateful for them. Nursing bra, sports bra, jogging bra, industrial-strength bra, t-shirt bra, underwire, etc. These people and bras have taken me through marriage,childbirth, exercise and weight loss. The last time I visited my Mom, before she passed away from complication of diabetes, she gave me two bras she had never used. She told me to take care of myself and listen to my doctors and myself. They were sport-type bras with no wires or actual cups. One was even a pullover. They were very comfortable and the pullover was warm like a hug. They’re gone now. I still have many bras. I wear the colour that won’t show under my clothes or the one where the straps match the tank top I wear it under. I take care of my bras because if I don’t, the wires snap or come out. Or if the strap breaks, I am totally let down. I cherish certain styles and bemoan having to adjust things as I lose or gain weight. I acknowledge that I need support, good support. With this support I feel good about myself and can accomplish much (like walking upright without the girls hitting my tummy). If we know what we need, we can find the right support. And take care of your support – wash gently and do not put in the dryer!!! ~ by 1fatgirlshrinking - Diane Kirby on June 15, 2012.